As I started getting older I began to understand that if you're in the gym long enough then it's not a matter of IF but a matter of WHEN. Injuries will creep up on you and the older you get, the longer they'll take to recover from!! This isn't some myth here so pay attention!! Lets first talk about overall health here. 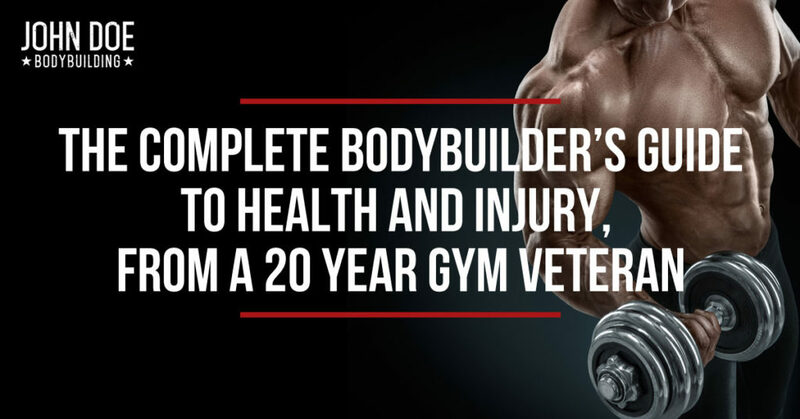 Your overall health directly plays a part in injury prevention and how well you can perform in the gym without getting injured. Adequate nutrient intake, sleep, fluids and recovery all play a role in avoiding injuries in the gym. I'm going to be completely honest here and tell you that MOST of my injuries came from times where I didn't hydrate well enough the day before and my sleep was bad. Also, most of my injuries came from the first few reps of any set, not the last!! The first rep of any set is the most dangerous rep where the last rep is the safest. Your muscles become adapted to the workload shortly within a given set and byt the time you get a good ways into the set, the set actually becomes safer. Therefore, it's always better to perform slower reps or even go “shallow” in certain exercises such as leg presses or squats for your first few reps. I always go shallow my first few reps and then as I adapt to the workload I'll go deeper and hit a full range of motion, mainly legs is what I'm talking about here. BACK TO HEALTH THOUGH…. It's very important to stay hydrated since most of your muscle is composed of water. It's also just as important to stay hydrated to protect your joints. Now onto nutrition… you have to understand that a specific calorie/macro range is necessary for moving certain weights and recovering from the workouts. There are plenty of videos floating around with professional bodybuilders using baby weights near a competition. This is for a reason, for starters they're weak at this point and depleted, and second off it's to avoid injury when they know their bodies are more vulnerable to injury. While I do not believe in as much needed protein as suggested by many, protein is important for recovery and growth. Carbs are also important and if you dissect the word carbohydrate it's carbo- HYDRATE!! Hydrate the muscles, the carbs serve as a transporter to HYDRATE MUSCLES!! This is one of the primary reasons I do not believe in carb-starved dieting (however I do advocate it for short periods before a catabolic state takes place). As the great bodybuilder Mike Mentzer once said, “there is no such thing as super-nutrition, only adequate nutrition.” Well if you're placing your body in high physical demands then adequate nutrition looks like super-nutrition to the average individual, however it's not!! A daily caloric intake of 5,000 calories a day may be adequate nutrition for one individual while it would make another individual gain body-fat. From most of my experience with people, most people do not eat enough to supply their body with adequate calories and nutrients for muscle growth!! 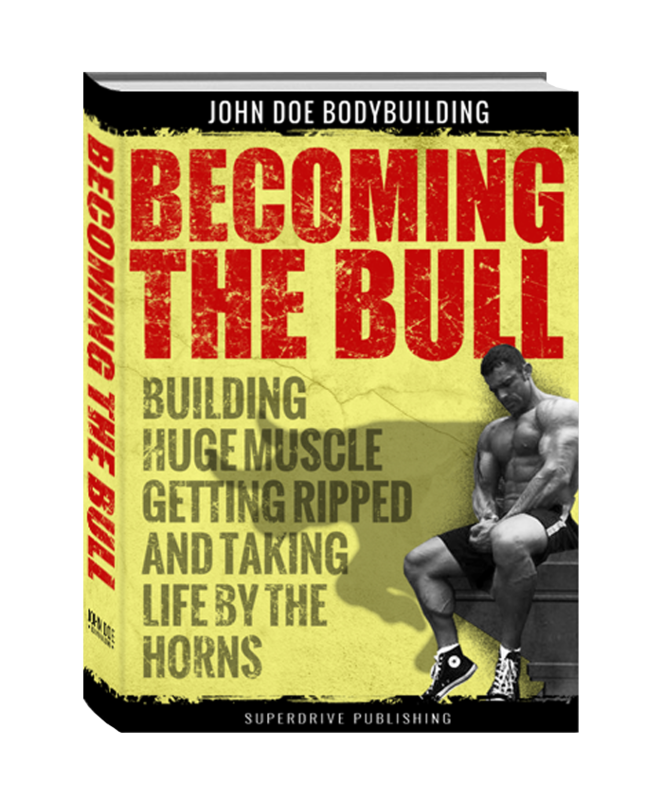 What they do eat are the wrong foods that halter progress and they continue to spin their wheels and look for the next best supplement…over and over again!! A good place to start with your diet is the basic food triangle that most of us learned about in grade school or middle school. From this point you can tweak the diet and figure out what works for you based on strength, recovery, and energy demands for your gym regimen. While I believe the paleo diet to be a good diet, there is some air that needs to be cleared here. The common consensus is that if we eat like our ancestors did then we can avoid getting fat, build muscle, and remain healthy and cancer free!! Well here is a little dose of reality for you…OUR ANCESTORS CONSERVED ENERGY!! That's right, your great, great, great great grandfather wasn't doing an hour of cardio everyday on top of an hour of lifting heavy weights!! Life was more like conserving your energy for when you needed it and then exerting it in shorter bursts. A common paleo diet that you would see in a publication is not taking into account for bodybuilders who exert more energy and therefore need more recovery and ADEQUATE NUTRITION!! I'm not saying paleo dieting doesn't work but what I'm saying is that you'll probably need more calories than you think you need from eating nothing but meats, nuts, and fruits. So sit down and calculate out what you think you may need before just buying into whatever diet or fad is the common consensus, because it may not be providing you adequate nutrition, calories, recovery, and therefore all plays into POSSIBLE INJURIES!! I'm mainly talking about testosterone replacement therapy here. For the guys on TRT and the middle aged guys on TRT or considering TRT, there are some things you need to be aware of. First off, long term testosterone use can lead to elevated red blood cell levels and elevations in cholesterol levels. My Doctor automatically put me on simvastatin @ 10mg/day to help control cholesterol levels on TRT. My normal TRT dosage is 200mg/wk of testosterone cypionate, however once every few months I will back this down to 100mg/wk for a period of 6-8 weeks or so. There comes a point when you want to actually revert to normal test replacement levels and for myself 100mg/wk puts me in normal range. 200mg/wk of testosterone will put me above normal levels, and while most can get away with this dosage for quite some time I believe it's important to occasionally back it down for adequate health and longevity. Something you may want to strongly consider is donating blood when on a cycle of on TRT. Donating blood will help keep your red blood cells in check and is overall just a healthy practice to do. When we lose blood our bodies have to create new blood and this helps pull toxins out of the bodies organs. This is the primary reason women statistically outlive men. Women have menstrual cycles where their bodies lose blood and need to create new blood. It's imperative that you get blood labs done AT LEAST once every 6 months while on TRT and it's also a good idea to have them done between cycles for the guys who cycle traditionally and come off. You don't want a silent issue to creep up on you all of a sudden when it could have been prevented. Putting this into normal practice can help avoid issues such as higher risks for heart attacks and strokes. You can get blood labs at Private MD Labs. Cant wait for the next post. I’m using trigger point roller to alleviate shoulder pain. What’s your opinion on it? Thanx a lot for all this peciular knowledge provided by you sir..i am follwing you for last 2 months. now i have some confusion about my workout schdule. i am 36 years body builder from india. i have been working out twice a day for last month. You can say i am work out addicted i cant stop myself to go to gym twice a day. thursday to saturday repeat as monday to wenesday. sir i want to know will this plan work for me my aim is to get big lean body. I’ve seen on some boards they recommend you use this one even if you are a guy? What’s the deal? I think the redeeming factor of the paleo diet is that it’s very low in donuts. Great point about Paleo. I’ve never understood how you can have any type of energy for lifts. With the exception of Keto, that is difficult to sustain.